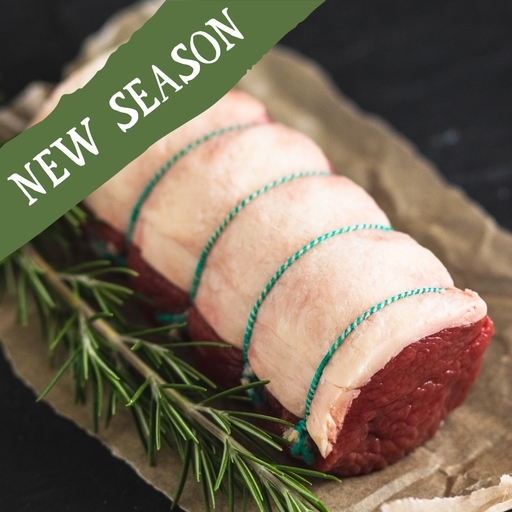 Organic venison haunch roast, reared free range on West Country farms and prepared in the Riverford butchery. This fabulously dark, lean joint makes an impressive centrepiece for an autumnal Sunday roast. Enjoy with celeriac mash and braised red cabbage, or mustard-laced mashed potato and buttery Savoy cabbage. Serves 2-3. Preheat the oven to 220˚C/Gas 7. Heat 2 tbsp of oil in a flame and ovenproof pan. Season and brown the meat on all sides. Roast for 15 mins. Lower the heat to 170˚C/Gas 3. For a 500g joint, roast for 10-12 mins for rare to medium-rare. Cover with foil and rest it for 15 mins before carving.